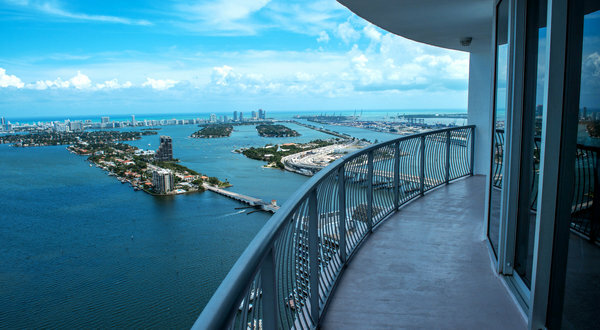 Latin pop mega star Enrique Iglesias found an interesting spot for the shooting of the video for his new hit single Finally Found You, a penthouse in Bal Harbour’s luxury condo highrise, The Harbour House. Enrique Iglesias wrapped the shoot in time for last week’s video release which vaulted the song to #23 on the top 40 chart. Penthouse #1601 at The Harbour House at 10275 Collins Avenue is currently listed for sale by Howard Chase Real Estate for $6.9M. The unit features nearly 6,000 square feet under air plus an additional 3,000 sq ft of outdoor terrace space. “The shoot was very exciting and brought fantastic exposure to the property. Enrique Iglesias’s production team was extremely efficient and utilized all the features of the condo including the private media room and the incredible terrace which spans the entire roof of the Harbour House.” Said HCRE power agent Lianne Graubart who has the listing. Graubart also states, “Oceanfront real estate in Bal Harbour has become among the most highly demanded in Miami, especially for New York and South American buyers looking for a South Beach oceanfront real estate alternative.” Howard Chase Real Estate is known for its luxury Miami property listings and celebrity clients who have recently included Iglesias, current Yankees star Alex Rodriguez and former girlfriend Cameron Diaz, actress Megan Fox and rapper Detailz. The New Harbour House condos are 457 lavishly appointed residences on 16 floors adjoining the newly constructed Regent Bal Harbour luxury condo hotel and just a short walking distance to the exclusive Bal Harbour Shops. The condos are located on the northern-most tip of Miami Beach where the Intracoastal meets the Atlantic — one of the most sought after oceanfront properties in South Florida. Combining knowledge with dedication, Howard Chase Real Estate provides the finest in Miami and Miami Beach real estate services: sales, rentals and property management, both residential and commercial. If you are interested in the Harbour House penthouse or other buying or selling opportunities in Miami and Miami Beach, please contact HCRE at 305-532-7470, howard(at)howardchaserealestate(dot)com orhttp://www.howardchaserealestate.com. Howard Chase Real Estate is located at 1354 Washington Avenue in South Beach. 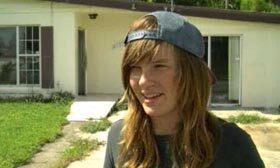 Florida 15-year-old buys second house. The fame from her first purchase may land her a reality show. In the meantime, she hopes to buy 10 investment homes by the time she’s 18. Remember that Florida 14-year-old who bought a foreclosed home for $13,000 back in March? Now 15, Willow Tufano has closed on a second property and set a goal for herself of owning 10 homes by the time she is 18 and legally old enough to take title. Not only that, but she also has put together a “sizzle reel” and may end up the subject of a reality show. Willow buys the homes in partnership with her mother, Shannon Moore, who runs a real-estate brokerage with Willow’s grandmother, Roxanne Moore. Willow developed her interest in real estate from looking at property with her mother and raised the money to buy her investment homes by selling stuff she salvaged from foreclosed homes. Willow’s second property cost $17,500 and is in Port Charlotte, Fla., where she bought her first home. It was a short sale for which they submitted an offer last spring. Since the story of the teen real-estate would-be mogul hit the news circuits last March, Willow’s life has changed dramatically. She was interviewed by National Public Radio and ABC News and appeared on “The Ellen DeGeneres Show.” DeGeneres gave her $10,000 to spend at Ace Hardware and a new dryer. Willow was also invited to speak to 200 people at a college in Alabama. If you’d like to see how she fixed up the first house she bought, The Huffington Post has a before-and-after slide show. Willow has already learned a little about the realities of being a landlord: According to NPR, her first tenants skipped out in the middle of the night without paying their rent. Willow likes the idea of a reality show, but notes that it will include her mother, her grandmother and her younger sister, Iris, all of whom have worked with her on her homes. Howard Chase Real Estate, LLC a luxury real estate brokerage in South Beach reports another Continuum South Beach townhouse sale, its third since last year. Howard Chase Real Estate a luxury real estate brokerage in South Beach reports another Continuum South Beach townhouse sale, its third since last year. TH-2, a 2,544 sq ft oceanfront unit replete with a private rooftop deck sold for a whopping $2.9 million and was under contract after just 1 day on the market. This sale comes on the heels of the sales of TH-13 and TH-15 for $1.5 and $1.425 respectively. Howard Chase Real Estate re-listed TH-15 for $2.75M earlier this month. Broker Howard Chase remarks, “The market in the highly revered South of 5th Street neighborhood in South Beach is ripe for sellers. I can say with confidence, our market is back and as strong as ever.” Chase goes on to say, “My clients are flipping again, the market is on fire.” These sales accompany another monster Continuum sale closed by Howard Chase Real Estate, the combined units 1106 and 1107 that sold for $5.2M at the end of 2011. A New York buyer, who saw the opportunity recommended by Howard Chase Real Estate, capitalized on the South Beach luxury market recovery and purchased the combined units. Chase sees the entirety of the market growing as well, not just South of 5th. HCRE also represented the buyer on the sale of 5763 North Bay Road, a highly coveted neighborhood in which you can find the homes of Alex Rodriguez, Jennifer Lopez and recent addition Chris Bosh of the 2012 NBA champions, the Miami Heat. The sale was recorded for $2.55M, more than 20% higher than the last sale of the same property at the end of 2009. The luxury real estate market continues to lead the South Florida recovery, and it does not appear to be slowing down as we head into the busy winter real estate season in Miami. Combining knowledge with dedication, Howard Chase Real Estate provides the finest in Miami and Miami Beach real estate services. 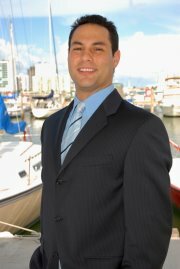 Sales, rentals and property management, both residential and commercial, highlight the brokerage in the areas of Miami, Downtown Miami, Miami Beach, South Beach, South of Fifth Street, Palm Island, Hibiscus Island, Star Island, Lincoln Road area, Mid-beach, Millionaires Row, Surfside, Bal Harbour, Sunny Isles, North Bay Village, Bay Harbor Islands, Aventura, Sunset Islands, La Gorce, Allison Island, Pinetree Drive, The Venetian Causeway, The Venetian Islands, Fisher Island, Key Biscayne, The Central Business District, The Upper Eastside, The Biscayne Corridor, Brickell, Mary Brickell Village, South Miami, Coconut Grove and Coral Gables. 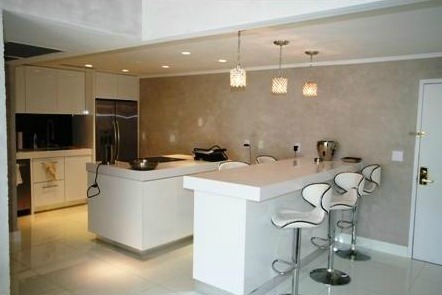 For more information please contact HCRE at 305-532-7470 or visit us at http://www.howardchaserealestate.com.